The Cisco® SPA8000 8-Port IP Telephony Gateway (Figure 1) is a full-featured analog telephone adapter (ATA) for small businesses, providing enhanced communication services via a broadband connection to the Internet. The Cisco SPA8000 features eight RJ-11 FXS ports to connect analog telephones to IP-based data networks and includes a single multiport RJ-21 50-pin connector, offering an alternative connection choice when deploying the telephony gateway in varied environments. 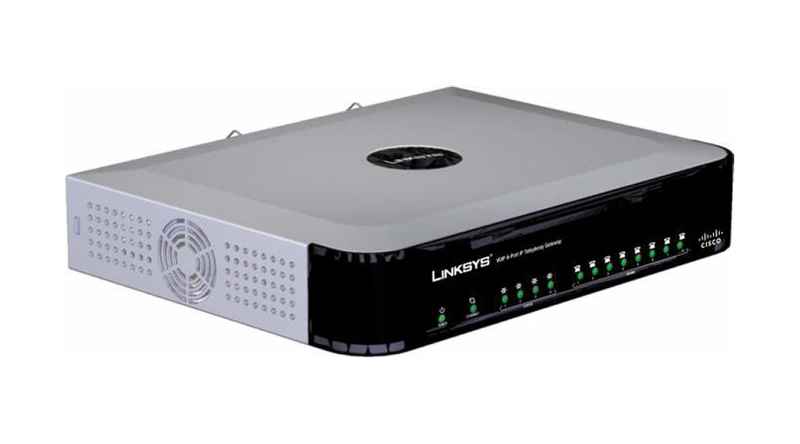 The device also has one 10/100BASE-T RJ-45 Ethernet interface to connect to either a router or a multilayer switch. Solid in design, the Cisco SPA8000 is an affordable solution that is ideally suited for use in business and consumer voice over IP (VoIP) service offerings, including call centers and multidwelling environments. Customers can protect and extend their investment by continuing to use their existing analog telephones and teleconferencing equipment. Installed by the end user and remotely provisioned, configured, and maintained by the service provider, each Cisco SPA8000 converts voice traffic into data packets for transmission over an IP network and uses common standards for voice and data networking for reliable voice and fax operation.